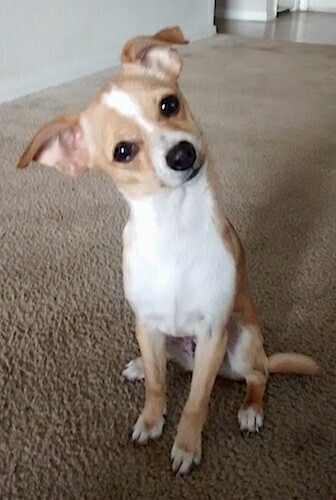 The breed Jack Chi has been produced by crossing between the Jack Russell Terrier and the Chihuahua. They are small to medium-sized dogs with a dense coat, short neck, elongated muscular body, large eyes, and a triangular head. Their ears either erect like that of the Chihuahua, or with a curl-over like the terrier parent. This dog typically has a long nose like its Jack parent, and so is the built-up of its body, including the color patterns. However, its coat and the length of its legs are quite similar to that of a Chihuahua. It’s not uncommon for this dog to be shorter than 10 inches at its shoulders. Like the Chihuahua, its muzzle can at times be thinner than the Jack Russell. 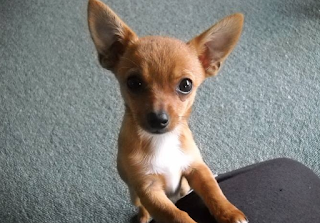 Also known as the Jackuahua, the Jack Chi is a little dog with boundless energy. If you are ready to share your home with a canine that requires plenty of exercise and mental stimulation, but is intelligent, friendly, and ready to snuggle too, this designer breed could be an ideal choice. 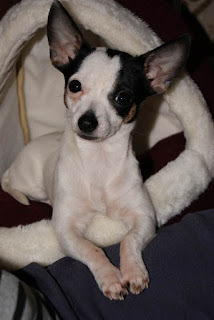 The Jack Chi can be a bit of a challenge, despite its many fantastic qualities and its absolutely adorable appearance, so read on to learn more about this breed and to find out if this small dog with a big heart is right for you. 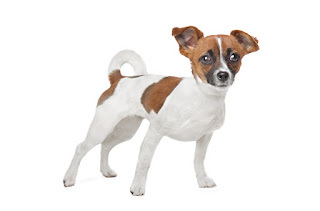 Your Jack Chi hybrid family member is the product of the breeding of a Chihuahua and a Jack Russell Terrier for what appears to be the sole purpose of family and individual companionship. This is a fairly new hybrid and, as such, there is little history about it beyond the fact that it was developed in the United States. One can only assume that its approximate date of origin falls into the past two to three decades, a time of regeneration of crossing and mixing a variety of purebreds to create these “designer” or hybrid canine breeds. While there is little historical information about the Jack Chi hybrid itself, there is plenty of information available on the parent breeds, the Chihuahua and the Jack Russell Terrier. The Chihuahua breed hails from Mexico and can be traced back to the 9th century where images of a dog resembling the Chihuahua have been found in artwork, written works and other artifacts. Though the history of the origination of the Chihuahua remains shrouded in folklore, it is most commonly believed to have been developed in ancient Mexico as a dwarf pet canine. This parent breed made its appearance in the United States in about 1850 and has been firmly implanted ever since. The Jack Russell Terrier originated in the United Kingdom in the early 1800’s for hunting and tracking purposes. The small size and compact build of the Jack Russell made him perfect as he was large enough to keep up with the foxhounds but small enough to “go to ground” and rout the foxes from their dens. Today, while their noses remain ever vigilant for those unusual and interesting scents, they are primarily utilized as family pets and companion dogs. The Jack Chi hybrid is recognized by these organizations: American Canine Hybrid Club, Designer Dogs Kennel Club, Dog Registry of America, Inc. and the International Designer Canine Registry. The Jack Chi is a friendly and playful dog who is also very affectionate and has a lot of energy. She tends to bond more closely to one owner and is quite protective. She is alert and fairly intelligent and her love of fun can make her very entertaining with acrobatics she jumps high and runs fast. She has a curious nature but those playful moments are often mixed with calm moments when she likes to cuddle and burrow in her blankets – or yours. She loves getting lots of attention and is friendly to other people. Some can be hyper though and can become overly nervous all the time. 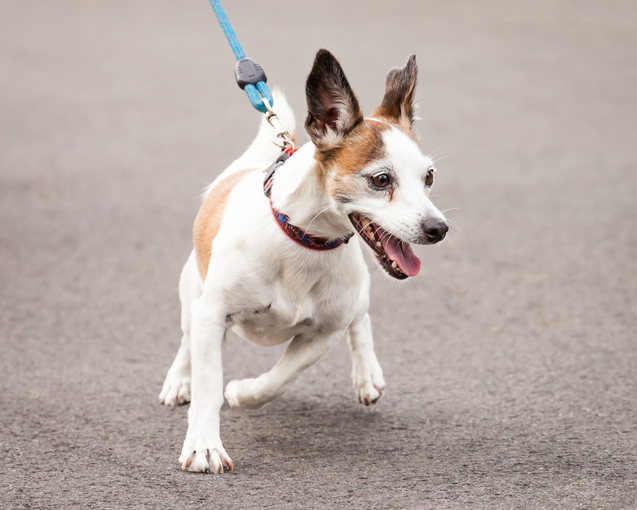 Because the Jack Chi is a hybrid dog breed, it could be prone to health conditions that affect its parents, the Jack Russell Terrier and the Chihuahua. Despite that, however, this is a hardy breed overall. Keep an eye out for allergic reactions to food ingredients like soy or to environmental allergens like grass. Also, your dog’s skin may be sensitive to insects and insect bites, such as fleas and mosquitoes, and he may also suffer with teary eyes. Your Jack Chi is considered to be hypoallergenic but that doesn’t mean he won’t shed because he is also in the moderate category of shedding. Brushing once or twice a week should help to remove loose, dead hair, parasites and debris from his coat. He needs bathing only as necessary. Your furry family friend will need to have his ears checked and cleaned regularly to avoid infections and keeping up with dental examinations and teeth cleaning will help to reduce the potential for periodontal disease development, which is common among canines. Eye examinations should be done to assess and monitor any of the variety of eye problems, both internal as well as external, which are known to afflict the parent breeds. When it comes to training your Jack Chi, be prepared to remain patient and consistent, as these dogs may not be easy to train. 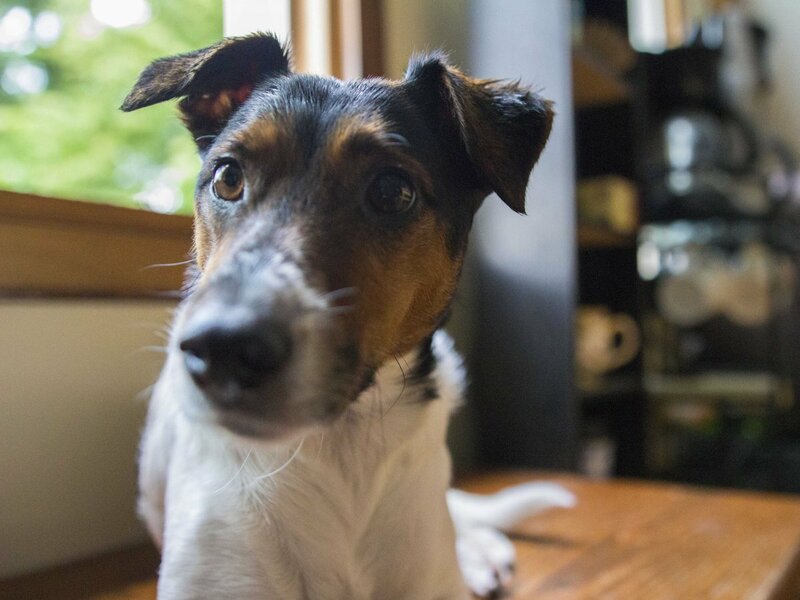 First-time dog owners and those with little experience training dogs may find a Jack Chi difficult, and if you do not properly train and socialize your dog from puppyhood, issues like separation anxiety and spatial aggression could occur. It’s best to be strict and assertive while focusing on positive reinforcement in order to establish yourself as the pack leader, as this little dog can be pretty tough. Your Jack Chi hybrid is an energetic bundle of love and playfulness. This energy will need to be spent daily to keep him healthy and happy, the need to avoid boredom being great. Taking your Jack Chi for long walks a couple of times a day, letting him play in the dog park, run loose in your high-walled, well-fenced yard, games of fetch, frisbee and hide and seek with his toys will help achieve this. It should be said, here, that you should always keep your Jack Chi on leash when outside as his tracking and hunting nose never stops seeking those oh so interesting scents which he will happily try to investigate. Also, because your Jack Chi is so intelligent, the hide and seek games will keep your furry family member from becoming bored and avoid the development of those annoying chewing, digging and destructive behaviors that all dog owners resent. Because of his small size, he is perfectly suited for apartment or condo living, but remember that his exercise needs must be met on a daily basis. He is friendly with everyone, his human family, other pets and even strangers, so a family home with or without the fenced yard is also good for him. 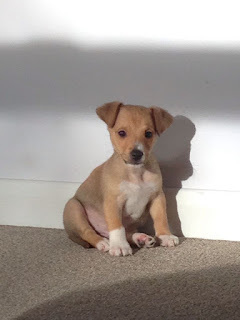 It is important to note that, because of the traits inherited from the Jack Russell side, he will need to be well-fenced in with a high-walled fence that will be difficult for him to jump. Care must also be taken to prevent digging for an escape route. It is also noted that the typical electric fence may not be suited for this frisky little escape artist. He can live in urban or rural settings and can tolerate most climates, provided he is given additional protection from extremes of heat and cold weather. If she is short haired grooming is fairly easy, she will need a brush a couple of times a week. Longer hair means more tangles can happen so brush it more often. Wiry hair means she may need trips to a groomers every couple of months. She does shed a moderate amount and that can be worse around seasonal shedding times. Give her a bath just when she is dirty and is needing one so that you do not damage her skin's natural oils. Her nails will need to be trimmed when they get too long. Dog nails have live nerves in them so take care or have it done by a groomer. Her ears should be cleaned by wiping them carefully once a week, and just check them for infection signs. Her teeth should also be kept clean by brushing with dog toothpaste and brush at least twice a week. She can be good with children, she likes to play with them and run around and have fun. She can also be gentle and affectionate towards them. She can be good with other pets too but with smaller animals she may be inclined to chase them as prey to hunt. Socialization will help this and how she gets along with other dogs as she can be bossy and does not care she is so much smaller than most of them. Is the Jack Chi the Right Breed for you? Difficult Training: The Jack Chi isn't deal for a first time dog owner. Patience and perseverance are required to adequately train it.